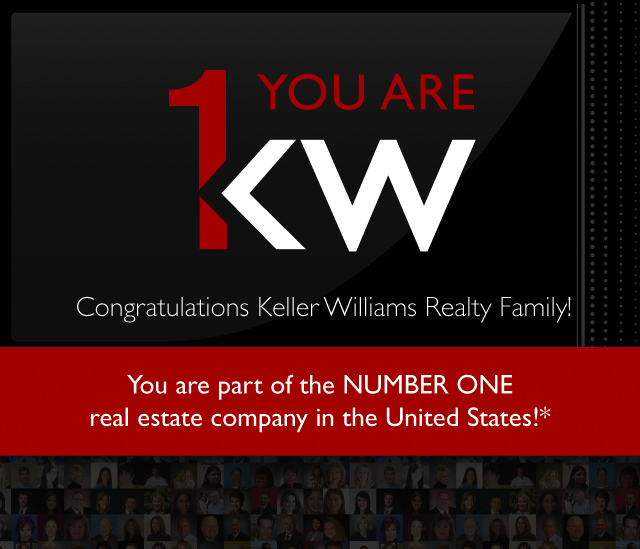 Because of the amazing agents that have chosen to work with Keller Williams and because of the awesome support our clients have shown over the years, Keller Williams can now proudly say WE are the #1 real estate company in America. This is a great honor and shows the hard work and dedication of so many talented and skilled agents. I am so honored to have my business partnered with Keller Williams and to be leading such a great organization as well. For more on the press release click here.